No matter what industry you’re in, business outsourcing has to be part of your blueprint towards financial success. Here’s why. What leads businesses sideways is not the lack of money or capital. Instead, it’s time acquisition. No matter what you do, there will always be more things that need to be done than the time you have to get stuff done. With all the expectations and deadlines falling behind, every day becomes an avenue for stress. Business coach Michael Hyatt said so that 45 percent of entrepreneurs are stressed. What’s an Entrepreneur Left to Do? There are multiple solutions to lack of time, but not each one of those answers is the ultimate resolute. This means that a particular solution has equal chances of working or failing. The single action that has been proven to be sufficient, time and again, for business owners is business outsourcing. Business outsourcing refers to the process of hiring a freelancer or agency to do the things that are doable without your supervision. As a business person, you often wake up to a long list of work. Some of the things written on that to-do list are pretty random, but it takes up a lot of your time. As a result, you have insufficient time left for the things that are more important. If only if it were that easy to cross out all the less necessary tasks from your lists. Fortunately, there’s a way to take advantage of your time without compromising other duties, and that’s through business outsourcing. For some business owners, business outsourcing is just a matter of letting other people do the work for them. But at some point, you’ll be asking an inevitable question – how do you make sure that the quality of the output remains the same? In the business world, we’ll be hearing various terms such as profit, marketing, sales, and business outsourcing. But it all boils down to earning more income. The primary objective of every business venture is to drive more profit to the company. Thus, each action that you take needs to be geared towards that direction. Even though business outsourcing has already become a widely-adopted strategy in entrepreneurship, outsourcing will only make sense if it has a financial impact. With that, if business outsourcing will not bring in more money to your pocket, then there is no need to do it. Just because you have the option to let someone else do it doesn’t mean that you need to outsource everything. For successful business outsourcing to follow, you need to know the stuff that you are most competent at and the ones that you need help. There are different apps that covertly records your productivity level for different tasks. For example, on the dashboard of some productivity apps, you will see how your overall productivity went. Also, if you shift to the “Websites and applications” section, you can monitor your productivity level for each task depending on a time frame. You’ll be able to identify the elements in your daily routine – your core competencies and the diminishing returns – the latter being the best candidates for outsourcing. You can also look at the current tasks that you give to your employees and identify weak points. These are also decent candidates for business outsourcing. In every system, whether it is for business or not, there is what you call leverage points. These are certain aspects of an entire or mini system that can be maneuvered. Gear it towards the right direction, and success will be following you in all directions. But if you drive it to the wrong end, the foundation of your business can potentially crumble. You can potentially lose ground if you let freelancers or agencies take over all your tasks. One of the tricks to successful outsourcing is never allowing freelancers do everything for you. Apart from time acquisition, there is something else that’s essential to entrepreneurship – overall control. The most critical thing is that you have full control over your business. With that, you shouldn’t give up on the things that your staff can do effectively. As a human being, you have weaknesses. When it comes to outsourcing, you need to make sure that the tasks you give out to freelancers are only your weak points. As exciting as outsourcing may sound, not everyone in the pool of talents is capable of doing the job. Outsource Accelerator is home to the most trusted and efficient consultancy firms for business process outsourcing. Their The Source is a treasure chest of valuable information related to business process outsourcing. 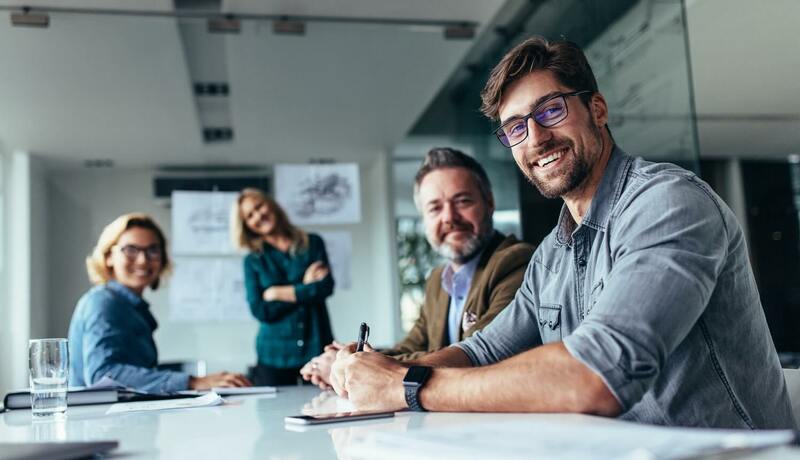 With their years of education and experience regarding outsourcing, they found these factors to be among the most critical when selecting a candidate for a project. Take note that the purpose of an outsourcing project is to increase efficiency. If the person you hired is unable to do this, you might as well stick to your staff. You can’t afford to wait until the project is already in action before figuring out if the freelancer or agency is efficient in his tasks. Before hiring the person for continuous work, you need to make sure that the person is equipped with the skills necessary for the completion of the project. Communication is vital in every venture. A freelancer or agency can be situated anywhere. It could be established in a place near your company, but in some cases, the agency could be in a different country. If that’s the case, your only hope of achieving a successful project is by hiring someone who knows how to communicate effectively. English is an international language. It is the most commonly-used language in the world. With that, most experts suggest that you work with someone who can speak and write English proficiently. It is essential to find someone who is capable of handling the tasks you’ll be giving him. That can be a pretty tricky thing to do seeing there are countless freelancers and agencies in the world. The Philippines has a mixed culture with various races. With that, no matter what country you’re in, you’ll surely have no problem communicating with Filipino virtual assistants. Since the Filipinos are adept with the Western culture, they also happen to be proficient in the English language. This makes them not only easy to speak with but also excellent candidates for content-related tasks. While Filipinos aren’t what you would call cheap workers, their rates are at an affordable level, considering their high-quality outputs. Each year, more Filipinos coming from reputable universities enter the workforce. There is plenty of proof for the excellent skills of Filipinos. One of them is the record of 97% literacy rate in the Philippines as stipulated in the Literacy Worldwide organization. The Philippines is currently one of the several active countries when it comes to outsourcing. This contributes to the increase of outsourcing candidates in the said country. 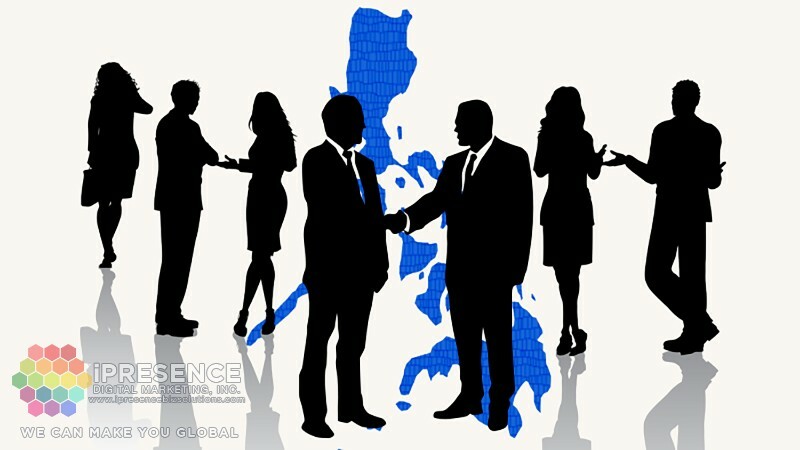 The Philippines is home to the best-performing outsourcing agencies in the industry. iPresence Digital Marketing, Inc. (iPDMI) is proof. It started as a one-man company until achieving a workforce of 500 people and hopes to increase this number in the future. For over 17 years, it has remained to be the top-of-mind provider of content writing, explainer videos, voice over, graphic design, website design, virtual assistance, transcription, forum marketing, and keyword research to SMEs and Fortune 500 companies. iPresence Digital Marketing, Inc. provides digital marketing solutions that have been tried and tested in the company’s venture contrary to theoretical approaches that are adopted by most corporations. What you’ll love about iPresence Digital Marketing, Inc. is that it outsources a significant percentage of its workforce from its home country, the Philippines. There’s no one else who can provide for your outsourcing needs than folks who mastered business outsourcing from top to bottom. iPresence Digital Marketing, Inc. is an expert when it comes to multi-directional growth and business longevity, which are two elements of every business venture that only a few companies can achieve. They consider it their mission to share or contribute parts of their business outsourcing success to other companies by providing high-quality services to their clients.